If you’re looking for a scurvy mate to fill your pillaging needs, here be the fellow! He’ll stand guard with his cleverly crafted musket, making sure your enemies walk the plank! 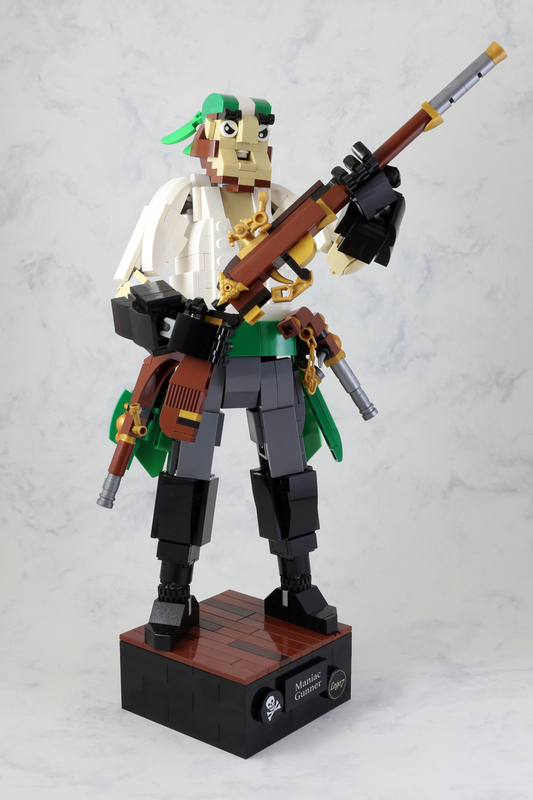 The creator of this “maniac gunner pirate” is LEGO 7, and he’s no stranger to great builds. One of the best parts of this particular creation is the unique personality of the character. Not only does he have that wonderful classic pirate look, he also has the best expression on his face. Not to mention, his weapons display a uniquely creative use of parts. And if you’re looking for a captain to add to your crew, you won’t be disappointed! 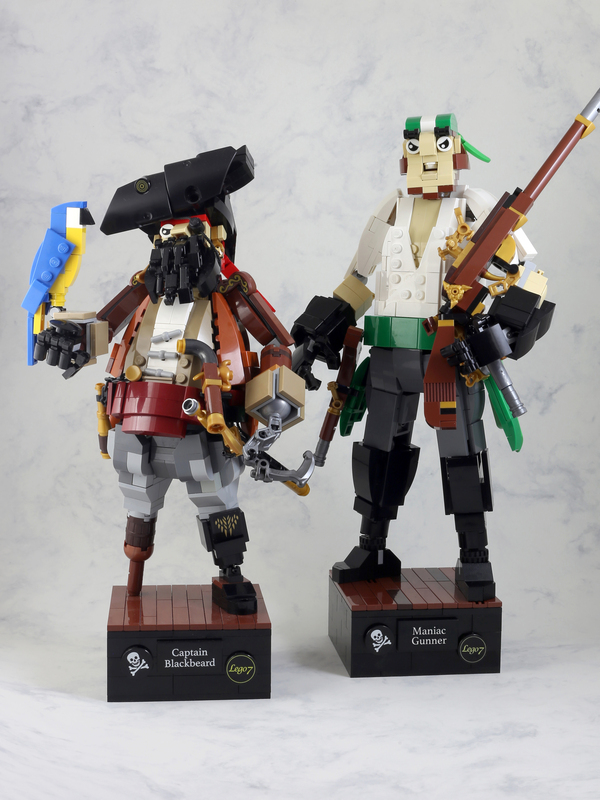 LEGO 7 has also created a devilish Blackbeard to go with this first mate! He even has the peg-leg and macaw!